The post-holiday New Year might not seem like an ideal time to celebrate fat. But when it comes to lipids, there is no better time. 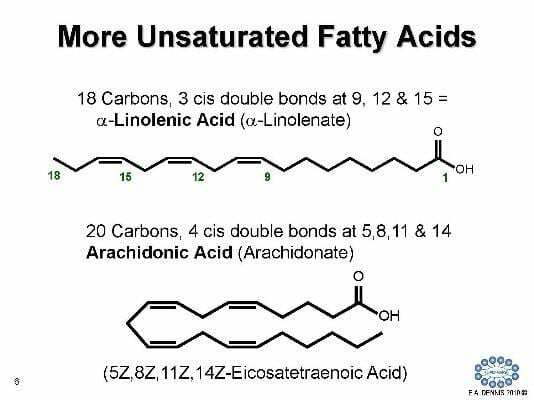 For the past 15 years, scientists have been working to specify and classify these fatty acids in order to develop techniques, tools and terms to better study them. Now a new generation of chemists and biochemists is pounding out research to further understand the complex nature of lipids. The pending results, according to a new article in Science Signaling, could reshape the diagnosis and treatment of various acute and chronic conditions–from diabetes and atherosclerosis to cancer and auto-immunity. Dubbed “lipidomics,” the study of lipids is weighty in terms of its potential for precision medicine–an emerging approach for treating and preventing disease by considering an individual’s genes, environment and lifestyle, according to the U.S. National Library of Medicine. With new methods for precision medicine expected to develop over the next five to 10 years, lipids are considered “phat” (i.e., excellent) candidates for integration with these emerging methodologies. This is why next-generation researchers look at lipids with a more holistic, systems biology perspective. Biologically versatile and essential, lipids help keep cells intact, store energy and communicate signals within the body. They also function as termini for complex cellular and organ functions and denote normal and disease states. Additionally, they are easily accessible through blood and urine, and they are quantifiable. Yet advances are needed for new analytical, statistical and informatics tools to progressively study them. Since new lipids continue to be discovered, new technology is needed to reveal exactly how many lipids our cells contain, to locate new lipids and to determine in which cellular membranes lipid changes occur. A leader on the journey of lipids research is UC San Diego Distinguished Professor and Chair of the Department of Chemistry and Biochemistry Edward Dennis. Along with UC San Diego colleagues Christian Glass, Michael van Nieuwenhze, Shankar Subramaniam and Joseph Witztum, as well as researchers from other universities, Dennis collaboratively established the gold standard classification system called LIPID MAPS in 2003, with $73 million from the National Institutes of Health (NIH). The database of about 40,000 lipid structures is referenced by the world’s lipid researchers and cited in scientific journals. Beyond its emphasis on classification and structural representation, as well as its practice of openness and collaboration, LIPID MAPS has become a significant resource that helped to usher in the bioinformatics era. Now new researchers envision a big data picture of lipids study. With recent funding from the Wellcome Trust led by Valerie O’Donnell and Michael Wakelam from Cardiff University and Babraham Institute in the UK, further development of the LIPID MAPS database and website will continue. “Lipidomics is a significant part of the metabolomics, which is a measure of all metabolites in any species. Metabolomics can differentiate between a state of wellness and illness in humans,” said Subramaniam, distinguished professor of bioengineering, who is also affiliated with cellular and molecular medicine and computer science and engineering at UC San Diego, and who serves as the Principal Investigator on the National Metabolomics Repository Grant from the NIH. The LIPID MAPS Lipidomics Gateway is supported by the Wellcome Trust (grant no. 203014/Z/16/Z), Avanti Polar Lipids and Cayman Chemical.